Fast, authentic, hearty, good value – and we haven’t even mentioned our flavours yet! We take quality ingredients and blend them with the finest flavours from Thai, Malaysian, Indonesian, Chinese and Japanese cuisine. There’s a box to suit every taste with a carefully chosen selection of meat, seafood, vegetables and sauces guaranteed to tantalise your taste buds. We use our own recipes in all of our dishes to create a true taste of Asia. Each of our noodle and rice boxes are based around our secret recipe authentic sauces. We also marinate our chicken, beef and char siu pork in unique blends of spices and Asian ingredients. Wok&Go is all about fresh food, cooked in minutes. but that doesn’t mean you’ll be waiting ages. 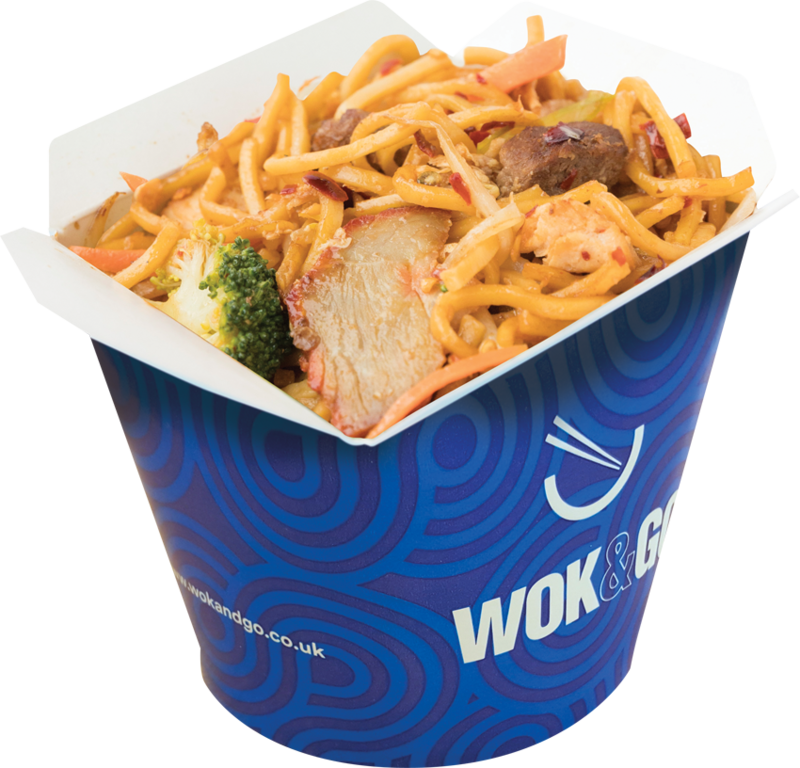 The name’s Wok&Go, not Wok&Wait! Piping hot noodles are just moments away. You can even see your food being cooked, with our open kitchens giving you a front row seat to our wok chefs in action. (as long as it’s on the menu)! Create your own noodle box from scratch choosing your favourite ingredients, or take one of our classic boxes and mix it up to get it just right. Want to try different noodles or rice? Not keen on a particular filling? Like it extra spicy? Go for it! When you first visit a Wok&Go, we’re confident that you’ll appreciate our portion sizes and the quality of our food. You get a lot of noodle for your hard-earned cash, with our hearty noodle boxes keeping you feeling fuller for longer.